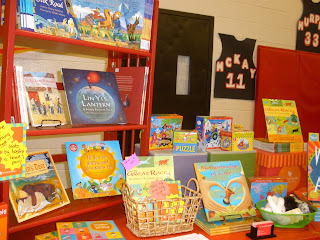 This was my display - I was very happy that the organizers gave me a prime spot with plenty of room to set up my book shelves. The shelves fold up and are fairly light weight - easy to fit in the car and easy to carry in and out of the event. And don't you love the little foot rugs? 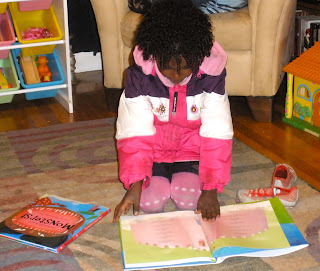 I found them at the dollar store and they are perfect for Barefoot Books! I like to bring my own director's chair to events. It puts me at eye level with potential customers even if I'm still sitting, and it takes much less effort to hop out of it when necessary than getting up from a conventional chair. A closer view of the top of the table. I raffled off a copy of The Great Race - people who put their contact information in the basket to be added to my mailing list were entered to win, and I drew the name later that night. It was a great way to get people excited about signing up! A little secret - I put my own name and email address on a slip of paper, folded it up, and put it in the basket first. That way, no one else had to be the first one to put their name in the basket! Who wouldn't want to buy a book from this little cutie-pie? 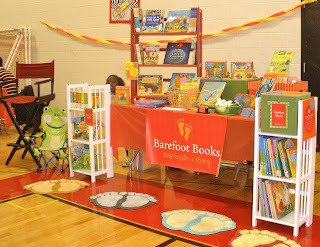 Thank you so much to everyone who stopped by my table on Sunday, I hope you are enjoying your Barefoot Books in the Year of the Dragon! 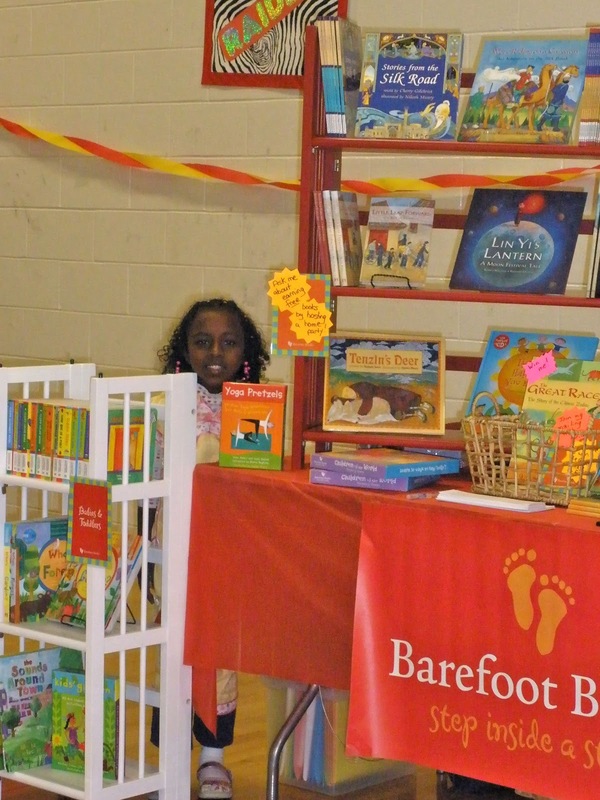 I am very pleased to announce that I will have a table selling Barefoot Books at the 24th Annual Lunar New Year Festival in Quincy, MA this Sunday, February 12th! The festival is organized by Quincy Asian Resources, Inc. (QARI), a non-profit agency that does some amazing work on behalf of the Asian community in Quincy and the South Shore region. The festival is open from 10:30 AM until 4:00 PM, and will take place at the North Quincy High School. There will be live entertainment such as dancing and martial arts demonstrations, cultural displays, delicious Asian food, and several vendors including myself. Plus of course I will have books with universal appeal such as our favorite singalongs, Bear and Cleo, the new World Atlas that I am recommending to everyone I know, and so much more! 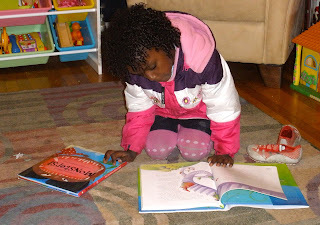 Cleo the cat is a very close second to Barefoot Bear on our list of favorite books from Barefoot. 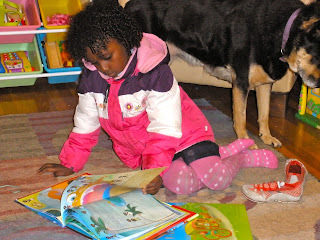 Just like Bear, Cleo was one of the first Barefoot Books to arrive at our house, and (again just like Bear), we now have almost all the Cleo books and still love to read them! Cleo is gentle and sweet, loves to chase butterflies and snooze in the sun, and has a lot to teach us all. Come Here, Cleo! Follow Cleo when she sets out to explore the garden one morning, and finds that it is full of surprises. Cleo's adventures introduce her to some fascinating new friends - and can she catch the butterfly? This sturdy board book is usually $6.99, on sale now for $4.99. 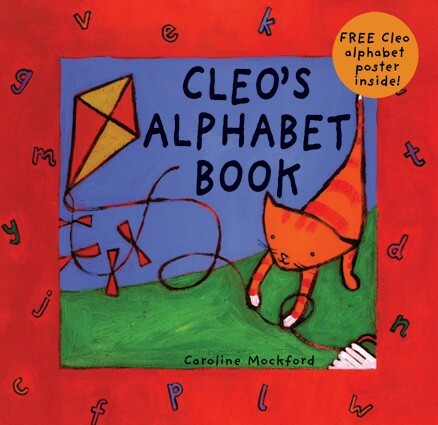 Cleo's Alphabet Book - Help Cleo guess which word goes with each letter of the alphabet. The rhyming text of this guessing game encourages learning, while the two-page spread of all the items at the end allows more alphabet practice. This hardcover book is usually $15.99, on sale now for $12.99. 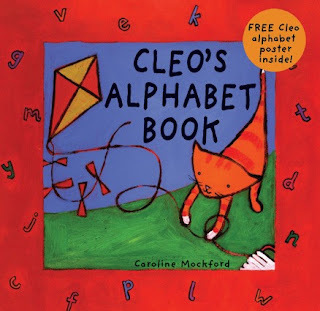 And, it comes with a full-color Cleo alphabet poster to hang on your toddler's wall! 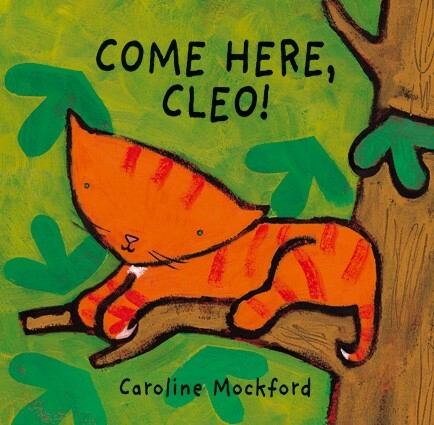 Cleo books are written by Stella Blackstone and illustrated by Caroline Mockford. They are appropriate for children ages one to four, but I have a feeling we'll be reading Cleo long after my daughter turns five later this year! 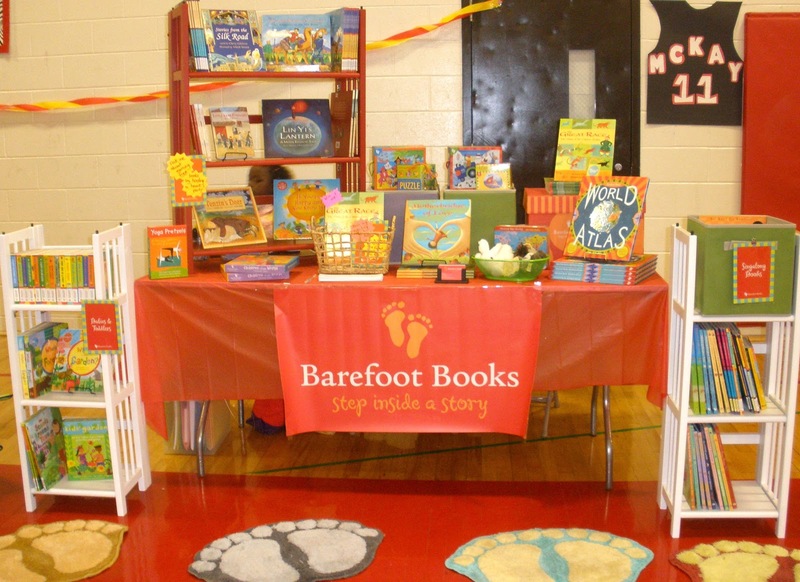 You still have time to enter the giveaway to win a $25 Barefoot Books gift card! Enter now! 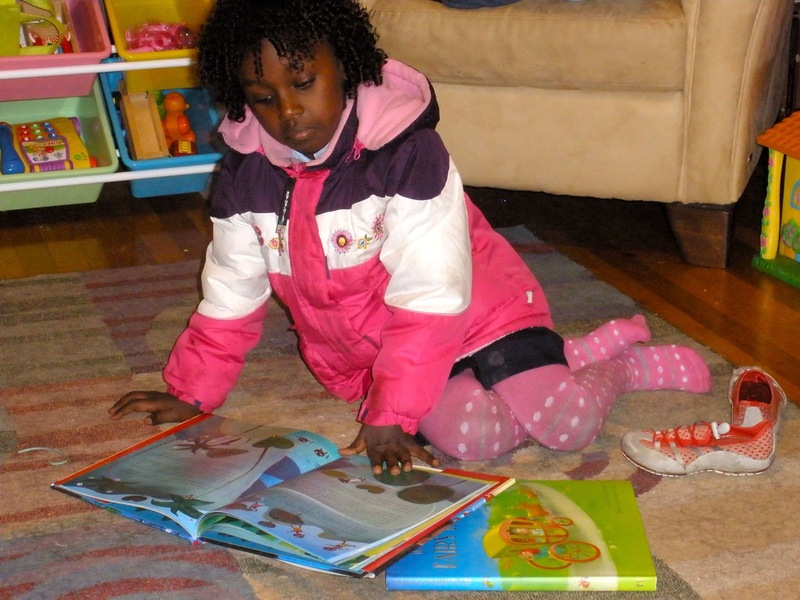 We LOVE Barefoot Bear around here...Bear on a Bike was one of the first Barefoot books to arrive in our house, and now we own almost all of them - and still read them on a regular basis! 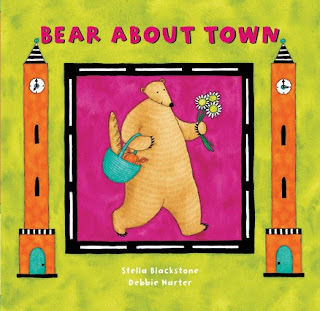 The rhyming texts by Stella Blackstone are so simple yet packed full of great vocabulary for toddlers, and the artwork by Debbie Harter is so colorful and fun. 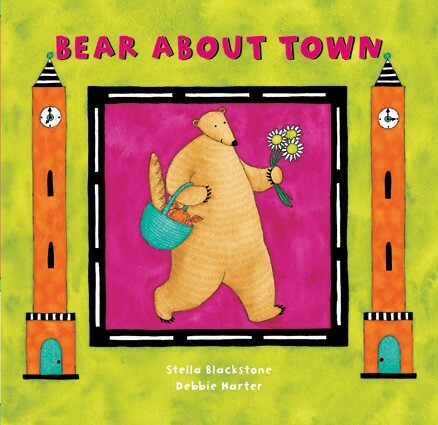 Bear About Town - Walk down to town with Bear and discover all the different businesses and settings. 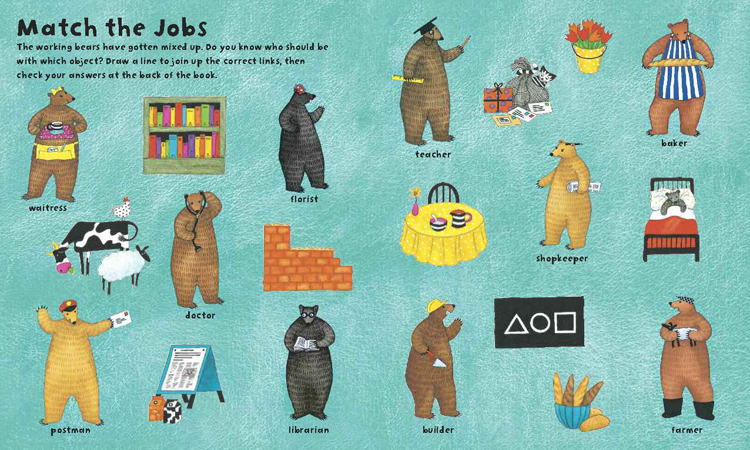 The rhyming text teaches days of the week, and is complemented by a full-spread map of the town at the end. Paperback version is usually $6.99, now on sale for $4.99. Bear's Birthday - Join Bear as he celebrates his birthday in this latest addition to the bestselling Bear series. 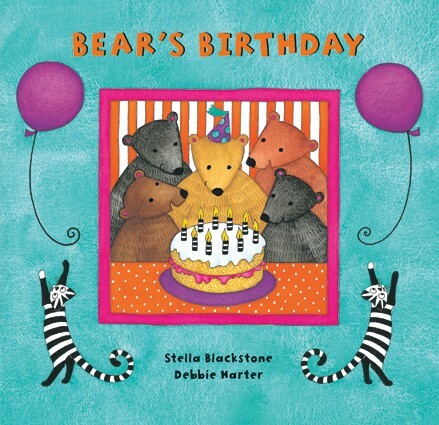 Help Bear count backwards from 10 to 0 and find out who is making his balloons disappear. Paperback version is usually $6.99, on sale now for $4.99. 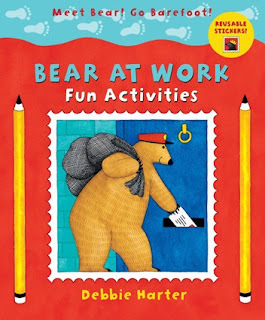 Bear at Work Fun Activities - Features games, puzzles, coloring and more that encourage children to learn about different professions as they head off to work with Bear. Also includes full-color reusable stickers to use in different scenes throughout the book. Based on the Bear at Work book. In paperback, now only $3.99! 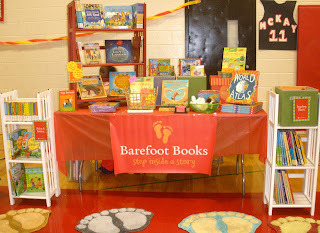 Now is a great time to discover for yourself the fun of Barefoot Bear! 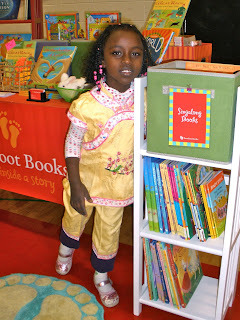 There's still time to enter the giveaway for the $25 Barefoot Books gift card - enter now! What Happens When New Barefoot Books Arrive at Our House? PS - have you entered the $25 gift card giveaway yet?